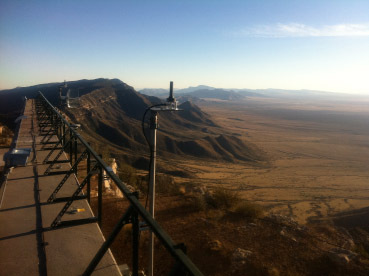 A pair of LocataLite transmit antennas overlook a section of the White Sands Missile Range blanketed by the Locata high-precision ground-based positioning system. 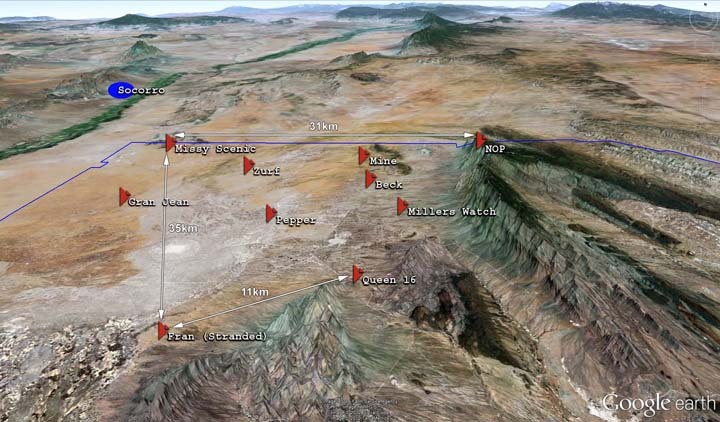 The U.S. Air Force (USAF) has signed a sole-source, 13-year, multimillion-dollar contract with Locata Corporation to install the company’s ground-based LocataNet positioning system at the famed White Sands Missile Range in New Mexico. The Air force will field Locata’s new technology to supply them with extremely accurate “reference truth” positioning to cover 2,500 square miles of White Sands when GPS is being completely jammed during equipment tests by Department of Defense (DoD) and other authorized users on the range. The Locata transmitters can be permanently positioned on the range or moved as needed. The Locata installation will replace the USAF’s current Central Inertial and GPS Test Facility (CIGTF) Reference System (CRS), a sophisticated hi-tech system that combines a differential dual-frequency GPS solution and a high-accuracy inertial measurement unit with integrated gravity deflection of vertical corrections. An Inside GNSS cover article earlier this year authored by Desiree L. Craig, chief program manager for the 746th Test Support Squadron (746 TS) at Holloman Air Force Base, New Mexico, chronicled Locata’s installation at White Sands along with initial test results. c) provide long-term consultation and expert technical advice to ensure optimal operational performance of the USAF’s fielded LocataNet systems. Christopher Morin, technical director for the 746 TS, said that the LocataNet provided time and position truth, independent of GPS that was better than 18 centimeters (6 inches) per axis for aircraft flying at a distance of 30 miles (50 kilometers) with speeds up to 350 mph (550 km/hr) at elevations up to 25,000 feet. The system also provides independent nanosecond synchronization across the LocataNet. 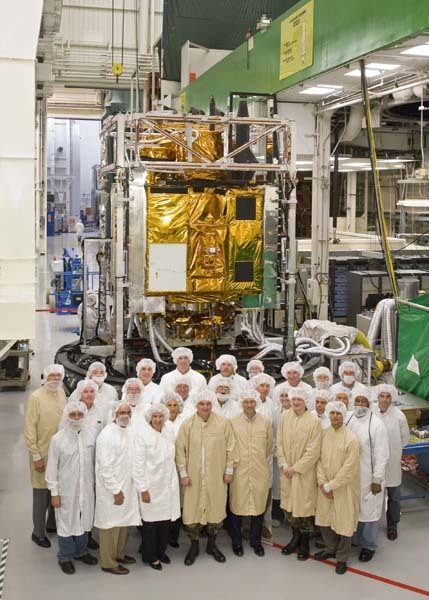 “Further analysis has shown that if we optimize the LocataNet deployment, characterize its errors, and tightly couple its range and carrier-phase measurements with the other GPS and inertial components . . . into the [USAF’s next-generation Ultra High Accuracy Reference System] solution post-processing software, I am confident we will be able to meet our 5-centimeter (2-inch) per axis truth reference objective,” Morin said. “I am very pleased with the LocataNet’s demonstrated ability to produce an accurate, dynamic truth reference from the relatively static implementation they had already deployed in the mining industry,” he added.